Mobile technology enables telecommuters to do anything/everything their co-workers can, sans cubicles and distractions. The top tools mobile workers need all center around connectivity -- having access to the information and resources needed to do the job, as well as keeping the lines of communication open with the office (or at least the boss/supervisor). There are really only three basic technology tools needed for a successful mobile work setup. Note: while this short list may be really obvious and astoundingly simple, that's the point -- almost all information-based work can be done remotely. The Internet is certainly the driving force for telecommuting and mobile work. 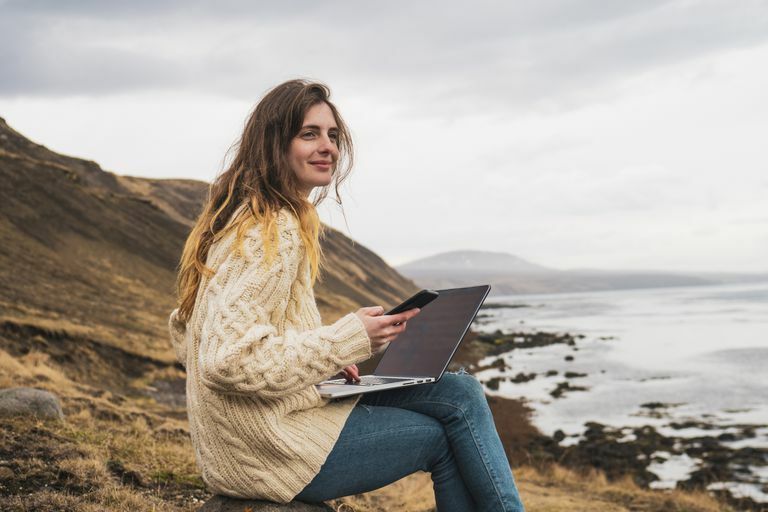 Telecommuting's rapid growth in the last decade, in fact, can be directly attributed to the growth in home broadband Internet availability and the maturity of online services and applications. The Web fuels all the technologies that make working away from the office possible and easy: email, VPN, instant messaging, video conferencing, and more. Another very obvious necessity: you need a device to access the Internet and to use any applications to get your job done. The options, however, are not limited to just desktop or laptop computers. With the growth of mobile broadband, Web-based applications, and even mobile apps, professionals can now work online practically anywhere using all types of devices: smartphones, PDAs, netbooks, and more. Though the majority of work will best be done on a regular computer, the other mobile devices are extremely useful for quick work on the go. Although it may not seem that high-tech, the phone is one of the most essential tools for any remote worker. It's the easiest and quickest way of keeping in contact with the office and clients. For some occupations (e.g., sales), the phone may even be the most-used tech device. Traditional telephone equipment may not even be necessary for your home office: Internet-based phone services allow you to use just a headset with your computer for making calls online, and these VoIP services are often cheaper too. Other people use their cell phone as their sole telephone for business and/or personal calls. Whatever device or voice service you use, check out some calling features that offer enhanced connectivity and productivity for mobile workers. As you can see, because the tech requirements are very minimal, working remotely can be a successful paradigm for many; it mostly depends on the person using the mobile technologies and the willingness of the parent company to invest in that person.